Tom Thumb bits are a pelham type bit, that when used with a chinstrap, becomes a jointed curb. 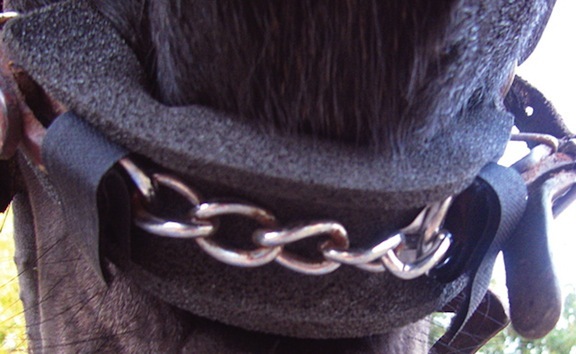 They are a good bit for the young horse that needs the extra stopping power behind a curb chain. (Curb Chains & hooks are sold separately below!) Longer shanks give good leverage for stopping, lateral control is also possible with the "moveable cheeks". Good for a "trade" up from a simple snaffle. .
5 1/2", 6", 6 1/4", and 6 1/2"
Copper Mouth Sizes: 5 1/2", 6"
Sizes: 6 1/2" and 7"